So, anyone with young kids knows the guilt of watching their amazingly adorable lives pass you by while all you collect are stacks or memory cards full of photos that you swear you'll get to when they're older. (Am I right or am I right?) Well, newsflash: you're going to forget those small precious details like "what was he pretending to be in that photo?" or "why was she celebrating?" before you have time to document it all. 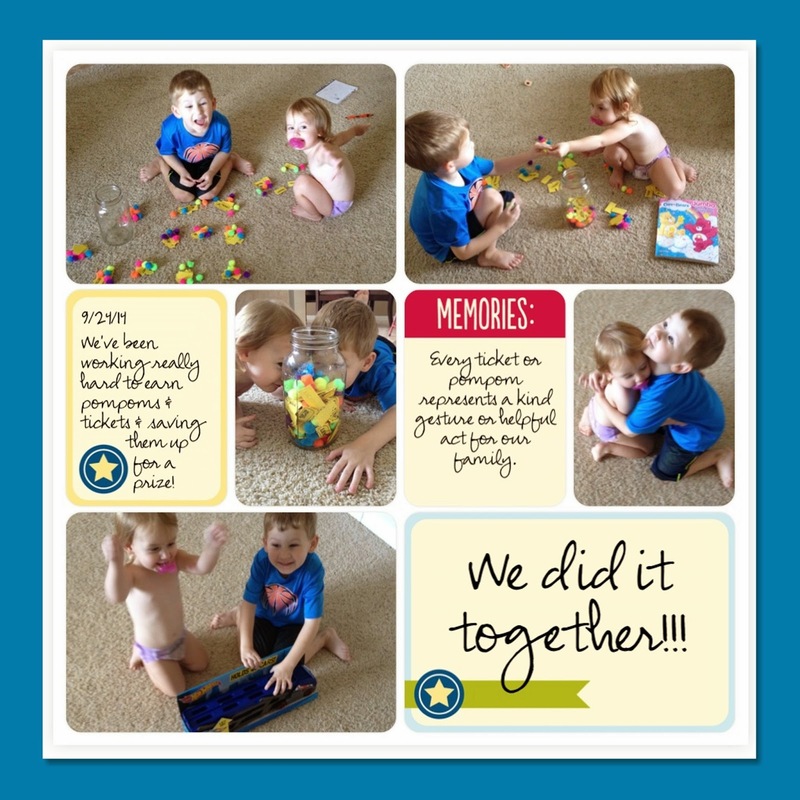 THANK GOODNESS for Project Life for making it so much easier to document those photos and memories! And HALLELUJAH for the new app that makes it so easy that you seriously have NO EXCUSE!!! Actually, I'm not going to type it out, because I already spent 5 minutes (at the MOST) making an album page with the Project Life App! BAM. Recorded. DONE. NO GUILT. If only it was that easy to get them dressed. FYI: The center "white page" was done on the app and then I simply used Stampin' Up!s My Digital Studio to throw it on a page that I turned blue to match his shirt. SO SIMPLE.